But what is it that really keeps us coming back time after time? There are so many reasons, and though everyone’s might be different, I’m sure some of us may share some common answers. So, what is it about Walt Disney World that keeps me going back as many times as possible? That’s probably one of the easiest questions I’ll ever have to answer. Quite simply, it’s the magic Disney provides. And, along with that magic, comes some definite perks. Disney is known for wonderful service and for being “top shelf” in everything they do. Starting from the moment I arrive at the Magical Express area at the airport in Orlando, I start feeling the magic. 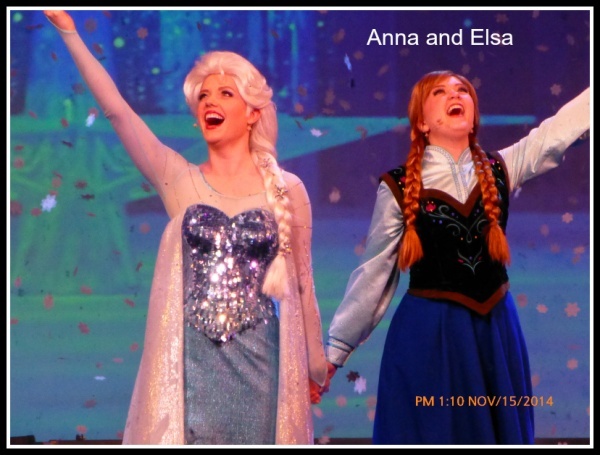 Look around – everything is clean, aesthetically pleasing, and the cast members are happy to help you. Disney puts 100% into everything they do, including clean and comfortable motorcoaches to transport you from the airport to your resort and ensuring your luggage magically appears in your room shortly after your arrival (if they’re not already there when you open your room door). Now, that’s a perfect start to a wonderful vacation! I’ve been to the World numerous times, but there’s still an indescribable feeling that wraps around me each and every time I step on property, which gets more intense as we make our way to the parks. Our family tradition is that we begin and end each trip at the Magic Kingdom. I just can’t start our trip in any other park. My trip doesn’t begin unless I’m stepping onto Main Street. 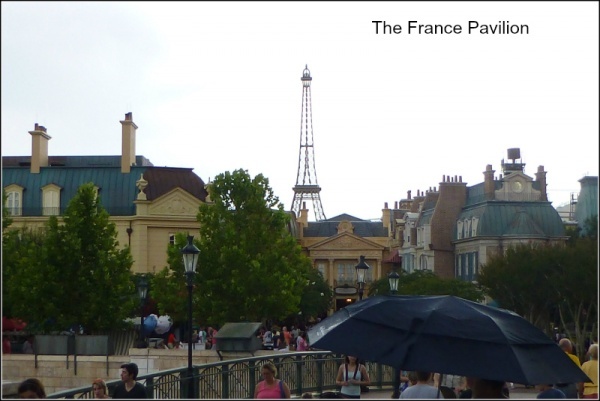 And there’s a reason for that – as soon as I walk under the train station and step onto Main Street, there it is….magic! Now, I’ve really arrived, and the trip can begin! So…what’s so magical you ask? Where to begin? There’s just so much that makes it magical! I’m sure many of us have gone on family vacations all over the world where everyone is pretty much doing their own thing. One person is on the iPad, another on their cell phone, another playing video games. Although everyone is together, they’re not really together. In fact, they’re probably not communicating with each other at all. While it’s true that, especially over the last couple of years, technology has become more prevalent at the World, we’ve always had a different experience during our trips. Yes, the cellphones do make a marked appearance, but it’s not about communicating with the outside world. 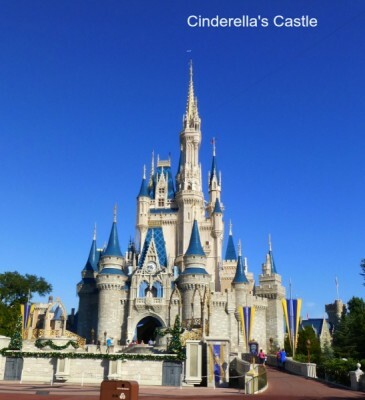 It’s about being in touch with the World – Disney World, that is. When the phones do come out, it’s to check wait times, character meet and greets, and such. I must admit that I do miss the days when we didn’t have that option, but it does come in handy. Unfortunately, the days of completely escaping technology is a thing of the past, but we try to limit it to being trip-related. Most of the time, we’re enjoying each other’s company, laughing over shared memories, listening to my daughter excitedly tell me about the thrill ride she just went on with Dad, while I waited for them. We talk about which ride we should go on next (or what FastPass is next), what show we want to see, what meal we’re going to have next. When standing in line, and I’m not going to pretend that’s any fun, we are still enjoying being together – perhaps, even looking for some hidden Mickeys. One of my favorite things at Disney is to watch the interaction between my daughter and her favorite characters. Where else in the world can I witness my daughter’s innocence and joy as fully and deeply? Absolutely nowhere. To see her so incredibly happy meeting her beloved characters in person is unbelievable. It warms my heart to see her so excited. In fact, it’s addictive. And it’s so much fun to get in on it, too. Yes – it’s the only place in the world I can be a child again. Really. And so having said that, here is the absolute true value and magic of a Disney trip: A chance to live a second childhood. No matter where you go, how exotic, romantic, or beautiful any other destination is, nowhere else can provide a second childhood. And that is valuable beyond measure. Whatever your childhood was like, here’s a chance to be a child again in a magical and happy place like no other. Where else can you proudly wear Mickey ears, character shirts, and enjoy Mickey bars and Dole Whips to your heart’s content while singing “It’s A Small World” under your breath without any concern for what others might think? Absolutely nowhere. Where else can you jump into a log and zip down a mountain, or careen through a mine filled with dwarfs and jewels? Or walk through an enchanted mirror into a magical world of enchanted objects? Or meet your favorite princesses…and princes? Where else can you get a chance to challenge Gaston to see if he really is as manly as he thinks he is? Well… apparently, just between you and I, it seems like he really is! Seriously…YouTube it – it’s hysterical! Am I in the mood to visit far off exotic countries? Well, at Disney, I can do that. How? With magic, of course! My family and I can quickly hop on a bus and head over to Epcot where we can enjoy a leisurely stroll through so many different countries. From romantic Italy to festive Mexico, through mysterious Morocco, nowhere else can we travel through so many countries and enjoy everything they have to offer all within steps of each other. And where else can we possibly be part of the movies and Hollywood? Being an actress could be fun, but, honestly, I really don’t think Hollywood is ready for me…yet. So, in the meantime, I’ll just have to settle for Disney’s Hollywood Studios – and, hey, that’s not a bad thing!! Where else can I go easily from movie to movie, be a part of Star Wars, sing along with Anna and Elsa, go under the sea with the Little Mermaid, or get swept up in the Beast’s enchanted kingdom? Absolutely nowhere! And, to add to all of that, I can also trek through Africa and Asia? Wow! All I have to do is get over to Animal Kingdom, and I’m transported to that part of the world. 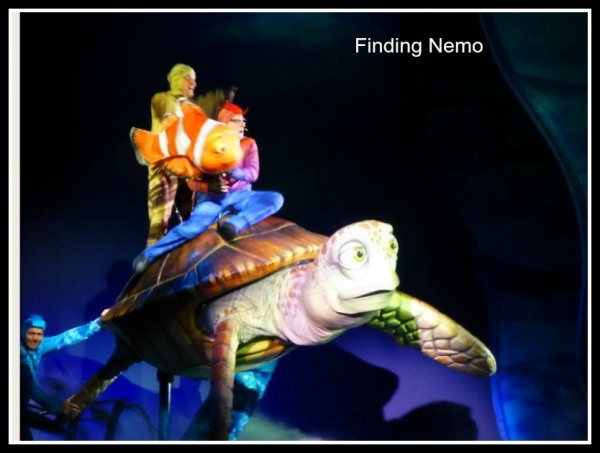 I can sing along at the Festival of the Lion King, have an underwater adventure with Nemo, live like a bug, go on safari, and be chased by a dinosaur. Now that’s impressive! With all of this available to us, it’s difficult to come away from a Disney vacation disappointed. Despite the heat, the crowds, and the long lines, guests always walk away having fun with most of them ready to plan their next trip. When trying to describe what’s so magical about Disney, I often tell people how, a couple of years ago, while in the Magic Kingdom, I waited for my husband and daughter as they went on Astro Orbiter. Soon, Chip and Dale came and stood about three feet away from where I was sitting for a meet and greet. As I watched them interact with everyone, an older woman approached them. The smile on her face was joyous, from ear to ear. She was crying, smiling, kissing and hugging Chip and Dale, very apparently having a “childhood” moment. It was amazing. As I watched, it hit me why Disney is so loved by so many – because it gives everyone that walks through its gates an opportunity to magically become a child again for as long as they’re at the World. I don’t think I can truly say that about any other place. To feel like a child again? That’s priceless. To relive our Disney childhood memories through our own children? To be able to do this is absolutely precious to me, and I enjoy it more than anything. So, every time I get asked this same question, the answer is going to always be the same – a resounding and unwavering “Yes”! What is it that keeps you going back to Walt Disney World? 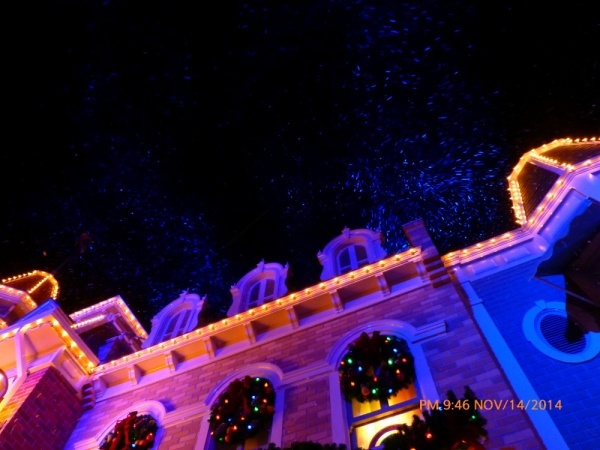 It’s Snowing On Main Street USA? I am a wife and mother and passionate about Walt Disney World. I love preparing for our Disney trips and am constantly reading up on all things Disney, listening to Disney podcasts, and am a member of various Disney Facebook groups. In addition to blogging for The Mouse For Less, you can also find me over at www.themouseinourhouse.com, as well as on Facebook at www.Facebook.com/groups/themouseinourhouse. You can also catch me at www.themouseinourhouse.blogspot.com, on Twitter at @MouseInOurHouse, and on Instagram at The Mouse In Our House. You can also email me at themouseinourhouse@yahoo.com. Come along with me and celebrate and explore all things Disney.